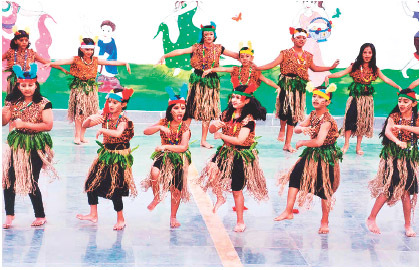 Delhi Public School (DPS) recently organised a summer camp with a theme of ‘Beat the Heat’ in Nashik city. Each participant of this summer camp got an opportunity to explore his or her talent in front of audience. This helped students to feel special, to build their confidence and to mould them into good artists. The programme provided a platform for the budding talents of the camp to showcase their skills in front of huge number of parents who gathered to witness the event. The camp included swimming competition, art and craft exhibition for parents, Afro- Jazz and contemporary dance performance by dance groups and singing performances along with instrumental Jugalbandi. The Principal and the staff members of the school took the efforts for the success of the event.